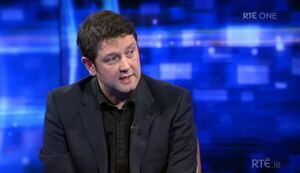 Last night on RTÉ’s Late Debate, the Sunday Times Security Correspondent John Mooney – who broke the GSOC bugging story – spoke to presenter Audrey Carville about Justice Minister Alan Shatter’s resignation. John Mooney: “I’m very reluctant to believe anything that I’m being told about these matters because none of it makes sense and you can’t take. You can’t forget the events that have preceded this and what’s been happening, really since Alan Shatter came to power and if I can just maybe take you through various controversies. 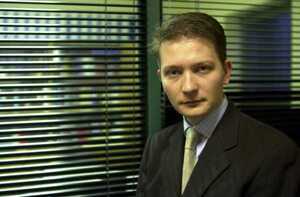 You have the Garda collusion matter regarding Kieran Boylan colluding with drug trafficker. 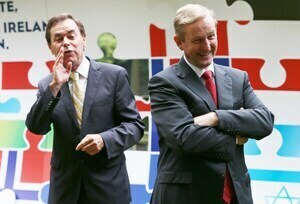 Alan Shatter got a huge report on that, took no action on that. The Labour party and Fine Gael supported them in that. Anyone who has the remotest knowledge of that particular affair would have been left absolutely stunned and hence, there was a feeling developed, of confidence, in Garda headquarters that you could do whatever you wanted and nothing’s going to happen to you. So that’s the first thing. Secondly you had the GSOC bugging affair. That investigation was established before the Guerin one but hasn’t reported – that’s a bit odd. You had the penalty points issue, where Alan Shatter, as we all remember stood on the plinth outside the Dáil, and I’ve said this on this programme and Prime Time and others and berated the two whistleblowers, regardless of whether they were wrong or right and basically accused them of wrongdoing. Then we had the charade that happened concerning the investigation by John O’Mahony into those issues. Subsequently that was shown to be, I mean, worthless. Now John O’Mahony is the Assistant Garda Commissioner in charge of crime and security – he’s in charge of our national security. It doesn’t get much higher than that in Garda headquarters. Mooney: “Yeah..with the Guerin inquiry into these matters and hadn’t furnished it with, Seán Guerin, with the papers relating to this matter. The most incredible thing about this is GSOC tonight have confirmed that that’s the case, that they didn’t actually provide Guerin with the documents in relation to this, citing privacy and other reasons. So you’re into this kind of very, very odd, sort of wordplay on this. I’m not sure, I think, if you…I’ll go back to the question I raised before. Martin Callinan resigned or retired, whatever word you want to use, a number of weeks ago, for reasons that are unclear. 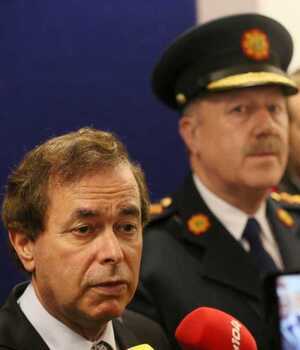 Now Alan Shatter is after resigning, again, or whether he was pushed , for reasons that are very unclear. Posted in Misc and tagged Alan Shatter, Enda Kenny, Garda HQ, John Mooney, Late Debate, Martin Callinan at 12:30 pm on May 8, 2014 by Broadsheet.